Thou dost not so much desire thy sins to be forgiven, as He desires to forgive thee thy sins. In proof that thou dost not so desire it, consider that thou hast no mind either to practice vigils, or to give thy money freely: but He, that He might forgive our sins, spared not His Only-Begotten and True Son, the partner of His throne. Do we forgive our neighbours their trespasses? God also forgives us in His mercy. Do we refuse to forgive? God, too, will refuse to forgive us. As we treat our neighbours, so also does God treat us. The forgiveness or non-forgiveness, then, of your sins—and hence also your salvation or destruction—depend on you yourself, man. For without forgiveness of sins there is no salvation. You can see for yourself how terrible it is. No one is as good and kind as the Lord is; but He does not forgive one who does not repent. Even if all spiritual fathers, patriarchs, hierarchs, and all the people forgive you, you are unforgiven if you do not repent in action. In smaller sins, sinners may do penance for a set time and come to public confession according to the rules of discipline. Then they receive the right of communion through the imposition of the hand of the bishop and clergy. I entreat you, beloved brethren, that each one should confess his own sins while he is still in this world—while his confession can still be received and while the satisfaction and remission made by the priests are still pleasing to the Lord. Forgive me the sinner, my brethren, and may God grant us all forgiveness! Many centuries ago, the village of Kola was located at the source of the Mtkvari River [in Georgia]. There Christians and pagans dwelt together as neighbors. Christian and pagan children would play together, but when the Christian children heard church bells ringing, they recognized the call to prayer and dropped their games. Nine pagan children [all ages 7-11 per another source]—Guram, Adarnerse, Baqar, Vache, Bardzim, Dachi, Juansher, Ramaz, and Parsman—would follow the Christian children to church. 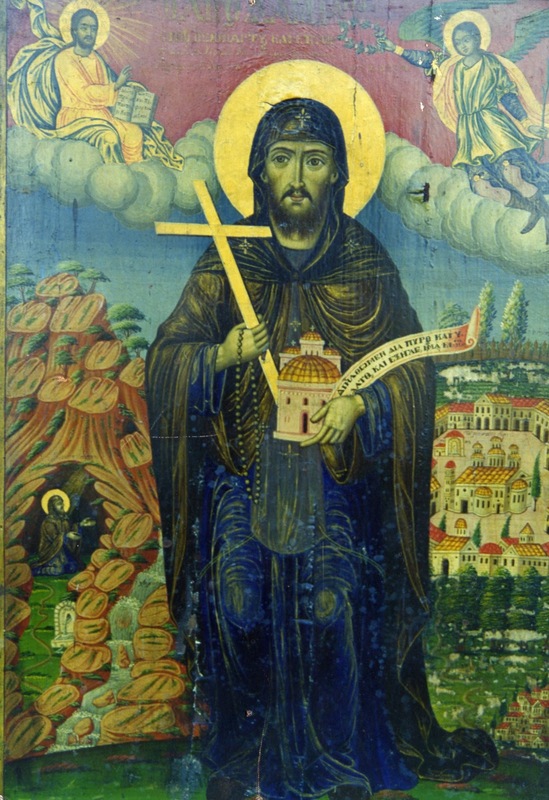 After this, the monk Damian left Mount Athos and came to the area of Olympou. There he preached the word of God, peace, moving Christians to repent, to flee their injustices and evil deeds, and he advised them to follow the commandments of God. His word, however, was not appreciated by some hypocritical Christians, who condemned him as a deceiver of the people. 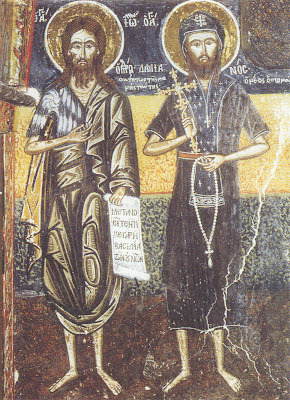 Damian, however, as a true Christian, did not pay attention to their slanders, but left from that area to go to Larissa and Kissavou. Unfortunately, he met the same there: injustices, misery, anger, and ulterior motives. 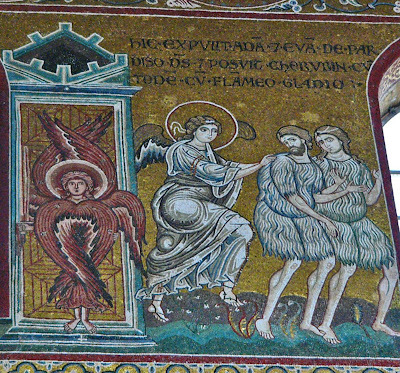 He decided to flee and to go to Agrapha, continuing his fiery preaching. The teaching of the Saint was always the same: steadfast faith and the keeping of the Lord's commandments. 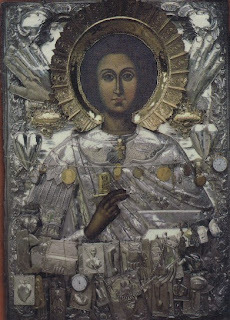 The Saint is seen as the founder of the Monastery of Panagia Peleketes in Karytsa, Dolopon, which was the base of the Saint's missionary efforts. The Saint largely rebuilt the Holy Monastery, which had suffered significant damage, and he completed its construction. Thus he passed into the consciences of the people of the area, becoming the founder of the Monastery, and being depicted in two frescos of the Monastery with the title of “Ktitoros” (“Founder”) only 86 years after his martyrical repose (the one fresco is from 1654, and the second from 1666). However, even in Agrapha where the Saint was loved so, the devil was hunting him. Some impious and non-God-fearing inhabitants of the area slandered him, and condemned him as a deceiver of the people and a false monk. Thus, he left and moved to Kissavo, and there, next to the village of Anatole, he built a new monastery in honor of the Precious Forerunner. He lived with other monks in prayer for the peace from above, and for the peace of the whole world. 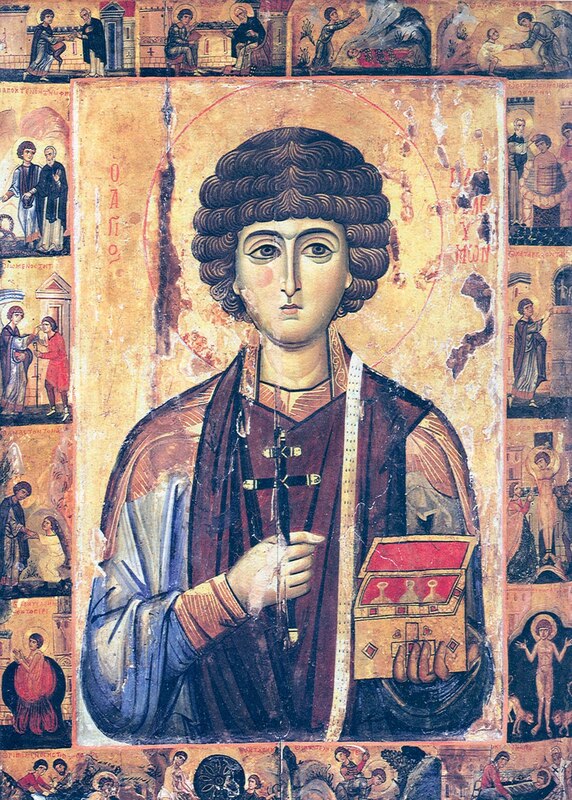 A multitude of faithful people of the region would come to the Monastery to hear the fiery preaching of the Saint. 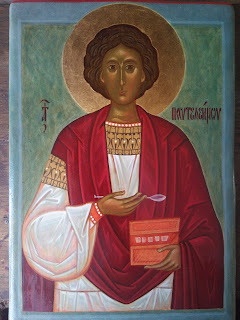 Once, Damian went for work from his monastery to the neighboring village of Voulgarine. There, he was met by the Turks, and led to the Turkish judge, being slandered by those who said that he hindered the selling at the markets on Sunday, and that he urged the Greeks to remain steadfast in their faith. He was then tortured terribly for 15 days, beaten furiously, bound by his feet with heavy iron chains, and had his life threatened. It was futile, however, so the Turkish ruler ordered him to be put to death first at the gallows, and then to be thrown into the fire. The executioners hanged him, and one of them hit him hard on the head with a club. However, the robe snapped and the Saint fell half-dead to the floor. The executioners them took him and threw him into the fire, after which they threw his ashes into the river Peneio. 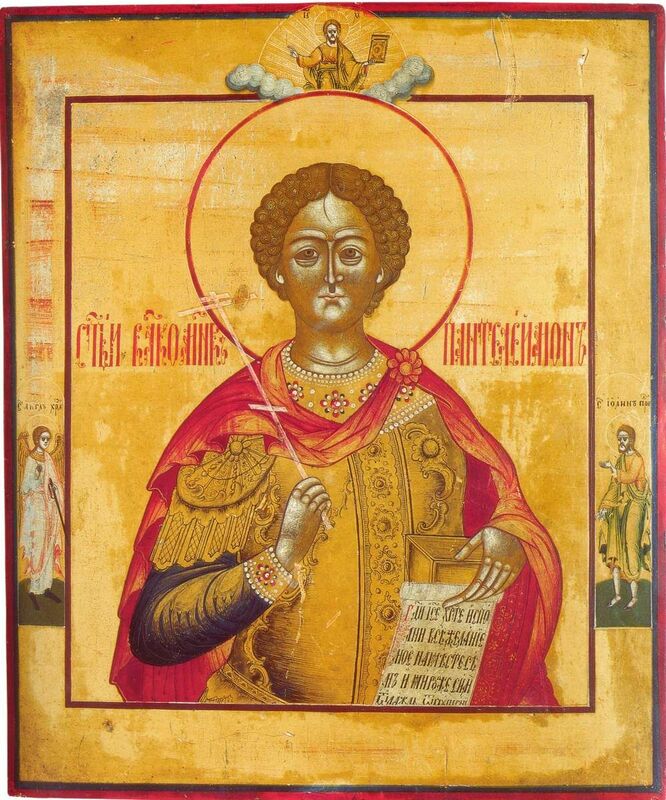 Thus the Righteous Martyr Damianos received the crown of Martyrdom on February 14, 1568. His memory is celebrated on the 14th of February. 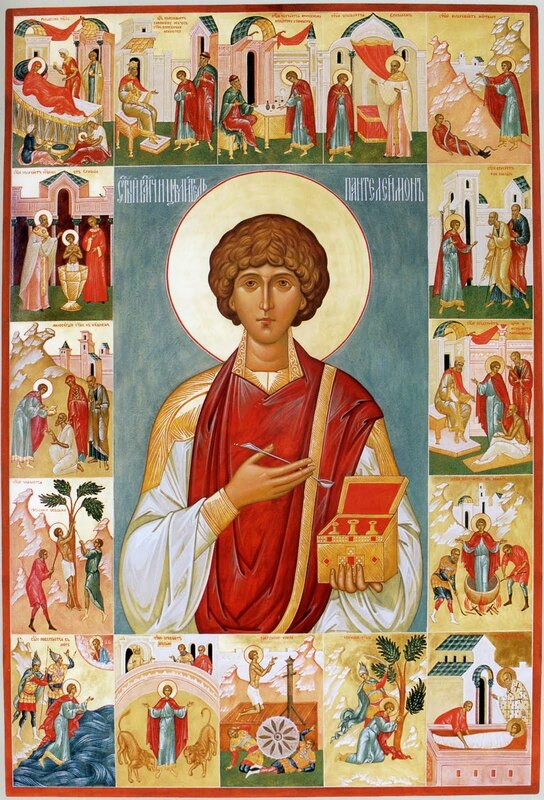 Rejoice today those in Kissavo Monastery, and let Larissa skip, being gathered at the sacred feast of Damian, come therefore, let us together offer hymns of praise to the Savior through him, and let us praise him, for we are save through his intercessions. 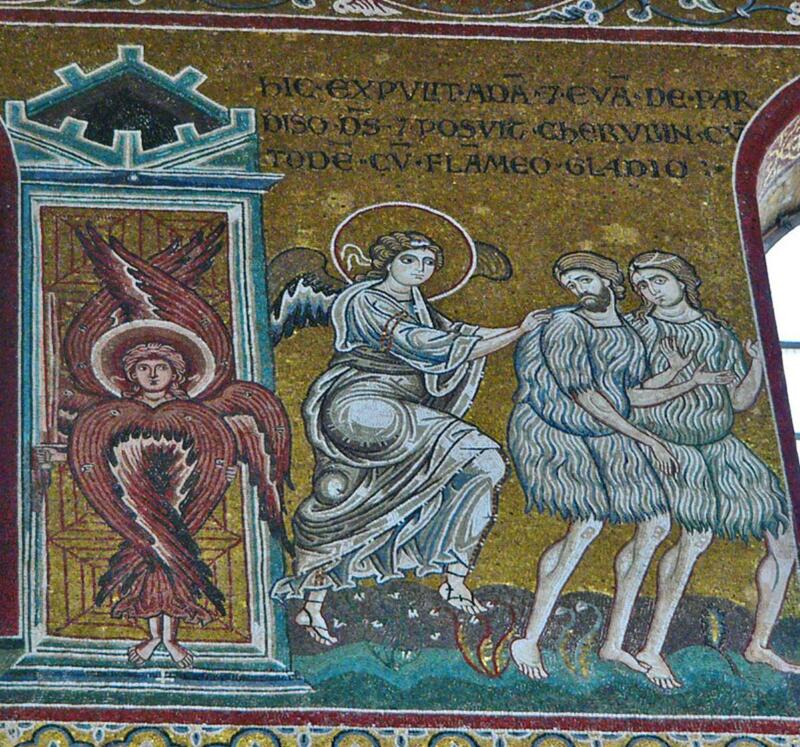 The Iconoclast controversy, which vexed the Church for over a hundred years, coincided with one of the most productive periods in church hymnography. 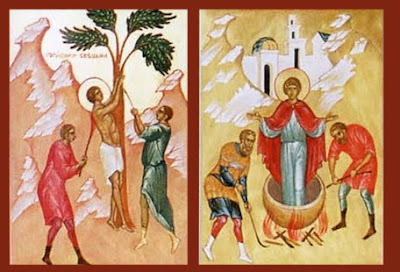 Among those who made significant contributions in this field, the names of St. Andrew of Crete (+740), Saint John Damascene (+754), and Saint Theodore the Studite (+826) are well known. Less familiar are the women hymnographers of this period-the nuns Thecla, Cassiane and Theodosia-who demonstrated considerable talent in this same field. Of these, Cassiane won lasting distinction as the only woman whose works have entered into the liturgical tradition of the Church. Cassiane was born in Constantinople some time before 805. Her father's aristocratic status gave Cassiane the privilege of a good education. She was tutored in both secular and sacred studies, and showed such exceptional aptitude for learning as to draw the attention of the great abbot of the Studion Monastery, Saint Theodore. He remarked likewise on her pious character, and indeed, from an early age she desired to become a nun. She was at the same time a spirited young woman of strong convictions and did not hesitate to express her opinions. Cassiane was also gifted with physical beauty. When the heir-apparent, Theophilus, was in search of a bride, he narrowed the choice to six lovely maidens. Cassiane was one of them. When they gathered for the final decision to be made, Theophilus, who had heard of Cassiane's intelligence, approached her with the statement, "From woman came corruption" (referring to the fall of Eve), to which the quick-witted Cassiane responded, respectfully but surely, "But also from woman sprang forth what is superior" (i.e., God's incarnation from the Holy Virgin). Unnerved, Theophilus passed over Cassiane and offered the golden apple, the sign of his choice, to the more demure, and silent, Theodora. It would have been a difficult match. 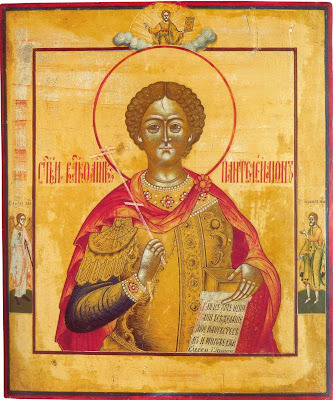 Theophilus was an iconoclast and harshly enforced the imperial edict-renewed after the death of Empress Irene -forbidding the veneration of sacred images. Theodora, an iconodule, did not approve of her husband's policy, but she concealed her veneration of icons and kept quiet. 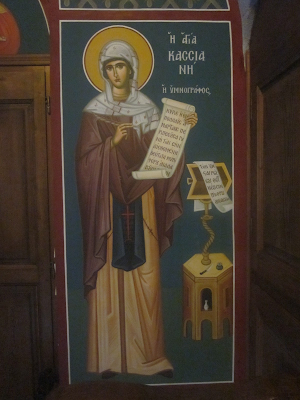 Cassiane, by contrast, openly professed herself in favor of the holy icons. She not only spoke her mind, but she acted on her convictions, visiting iconodule monks in prison and sending them gifts. For her defiance of the imperial edict, she suffered persecution and was beaten with a lash. Far from being disappointed at Theophilos' rejection, Cassiane was now free to unite herself to the bridegroom of her own choosing-the King of kings, Jesus Christ. 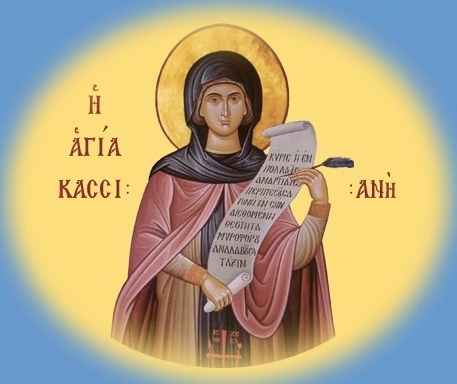 She was tonsured a nun about the year 820, and founded a convent on one of Constantinople's seven hills, where she led "an ascetic and philosophical life" pleasing to God. An energetic abbess, she not only regulated the life of the convent, but she also found time to pursue her scholarly literary interests. She combined the talents of poet, theologian and musician, writing hymns and composing musical settings for them. Originally sung by her nuns, many of her compositions proved to have enduring value; twenty-three of her works were later incorporated into the liturgical books of the Church. One of Cassiane's most brilliant creations is her hymn, sung in the Matins service for Holy Wednesday, on the subject of the sinning woman. Based on the story from St. Luke's Gospel (7:36-50), this hymn blends dramatic and narrative elements to create a masterpiece of hymnography which manages, in a few short lines, to present the essential Christian drama of sin and salvation. 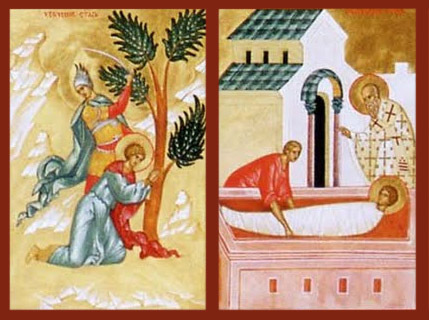 The most familiar of Cassiane's works are undoubtedly the irmoi in the Matins canon for Holy Saturday, which is repeated at the Midnight Office for Holy Pascha: "Weep not for me, O Mother, beholding in the tomb the Son Whom thou hast conceived without seed in thy womb, for I shall arise..." With these stanzas, Cassiane achieves a taut sense of anticipation, providing a marvelous momentum into the climatic celebration of Our Lord's Resurrection. Cassiane had a forceful personality: "I hate the fool who acts the philosopher," she wrote. "I hate silence when it is time to speak." And this, combined with her many talents and keen intellect makes her an appealing model for today's woman. But it is the fact that she lived only for God, to the end of her life, that made her a saint. dedicating her life to Christ and the Church, and adorned with the diadem of virginity and the crowns of a confessor, an ascetic, and a hymnographer, our holy mother Cassiane reposed in the Lord." A pillar unshakable are you in Christʹs holy Church, * and, as your own name denotes, an ever radiant lamp, * all‐blessed Haralambos, * shining throughout the whole world * by your feats as a martyr, * driving away the darkness of the worship of idols. * With confidence, therefore, pray to Christ, * entreating Him to save our souls. 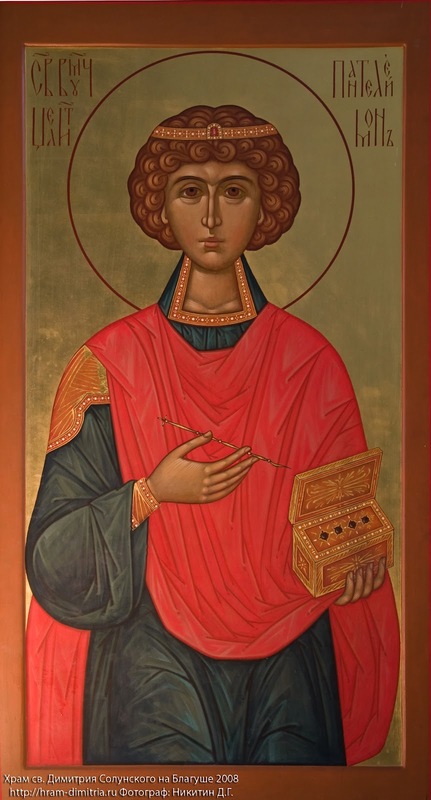 Since the holy Church of Christ is in possession of your highly honored skull as priceless treasure, she is glad, O Hieromartyr Haralambos. Therefore she praises the Maker of all with joy. Let us come together and extol Haralambos, the all‐glorious great Martyr, the steadfast warrior and soldier of Christ. He contended splendidly for Christ and the truth. 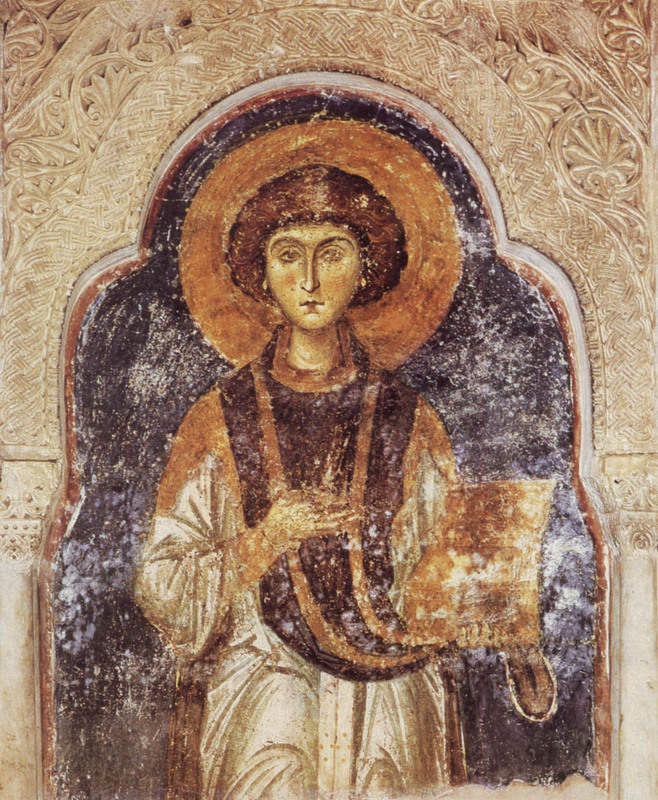 He openly preached the Orthodox faith, and put an end to the error of idolatry. He rebuked the most unlawful king, and with joy and exultation he was beheaded. Therefore he received the crown from the right hand of the Most High, and he became a fellow citizen of the Angels. 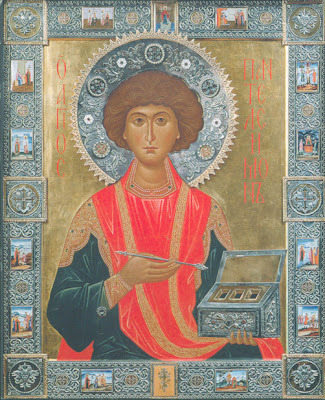 This is why the Orthodox Church venerates his all‐honored skull, and crowns it with praises. By it she is freed from many hardships and diseases, and she praises the Maker of all with joy. 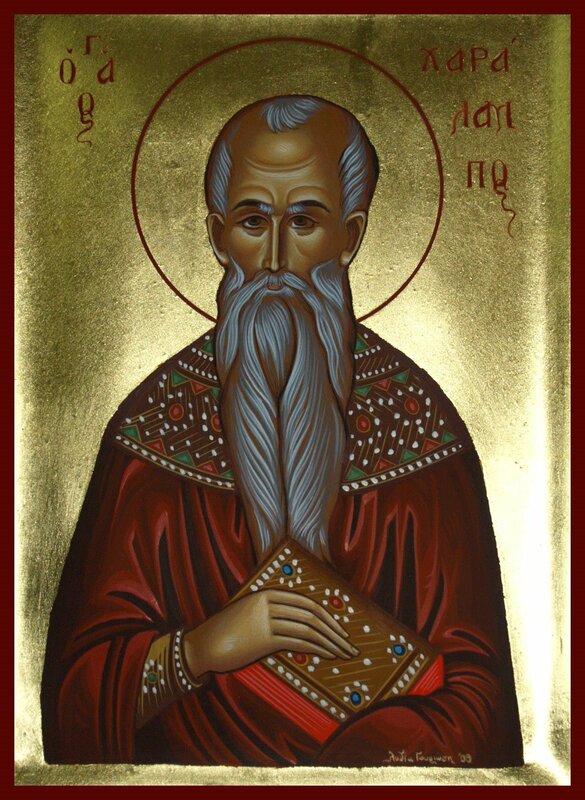 On the tenth of this month (February) we commemorate the holy Hieromartyr Haralampus of Magnesia. Of the radiance and joy of the Martyrs. On the tenth, Charalampos was cut by the throat. 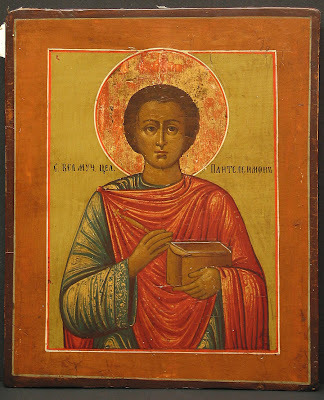 Come all you children of Greece now, * and you who love the Saints, * let us give rightful honor * to the skull of the Martyr * Haralambos, saluting it with a kiss; * for he preached in the stadium * that Christ is God and Creator, and he rebuked * the deception of the impious. 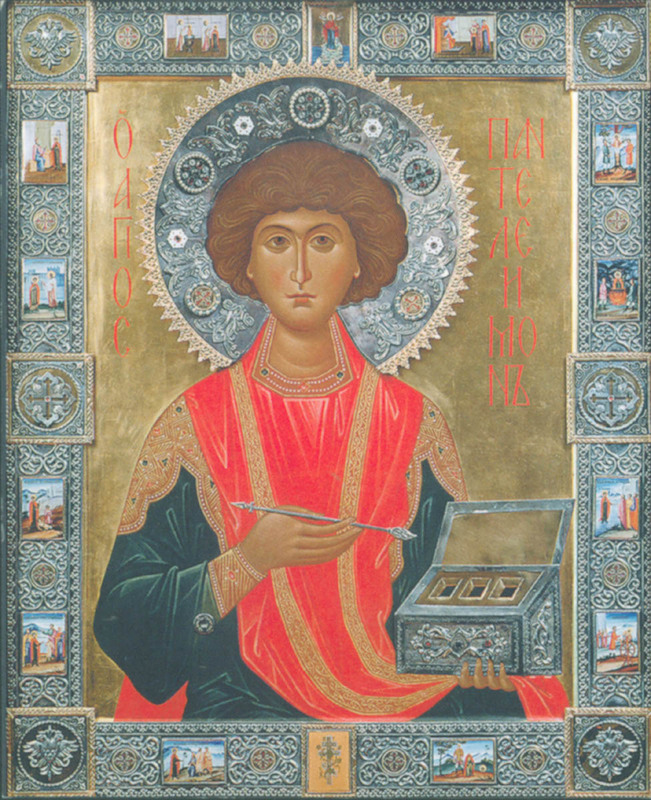 Thrice‐blessed Saint, you are numbered * with the celestial hosts, * and as you stand in honor * near the Trinity, Father, * you pray for us who honor your precious skull * with devout faith and reverence. 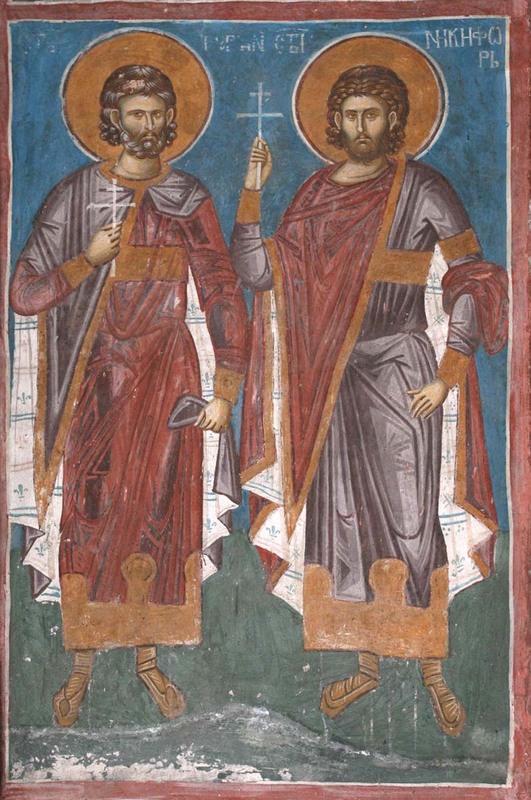 * O Hieromartyr Haralambos, we entreat * that you keep us safe from any harm. 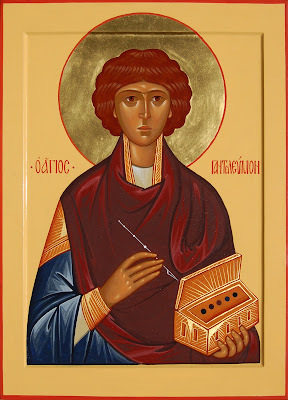 In all of Greece has the festive * and bright memorial * of holy Hieromartyr Saint Haralambos risen * most glorious and splendid; for she is blest * to possess his most honored skull, * which had proclaimed Christ the Savior, both God and man. * Hence she celebrates it festively. 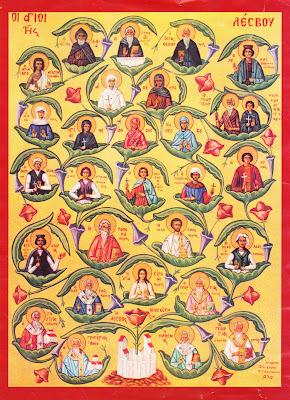 I thought to continue a series of posts, each highlighting a region of the world and its local Saints. 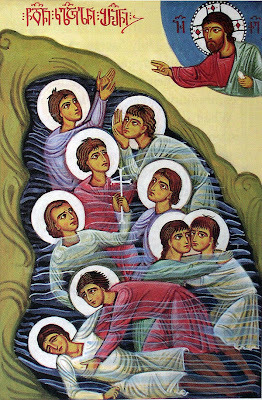 As is clear, the light of Christ has reached the farthest reaches of the earth, and thus, there is not one area which has not produced, as fruit of the Holy Spirit, Orthodox Saints. The following is regarding a region in central Greece called Eurytani. Also note, if you are have a preference for information about Saints from a region of your interest, please post to let me know, and I will do what I can to provide what info I can gather online. May Christ have mercy on us all and save us, through the prayers of our Holy Fathers! 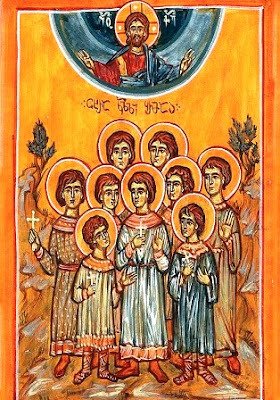 The feast of the Saints of Eurytania was instituted with the permission of the Holy Synod of the Church of Greece in 1971, and is celebrated the last Sunday of August each year. 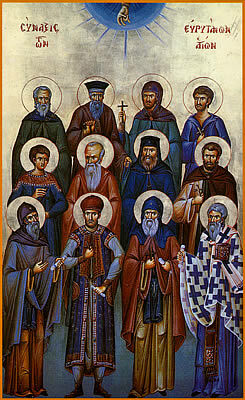 See the following link for the website of a church of All Saints of Eurytania, with more information about each of the Saints: http://www.evrytanesagioi.gr/index.htm. 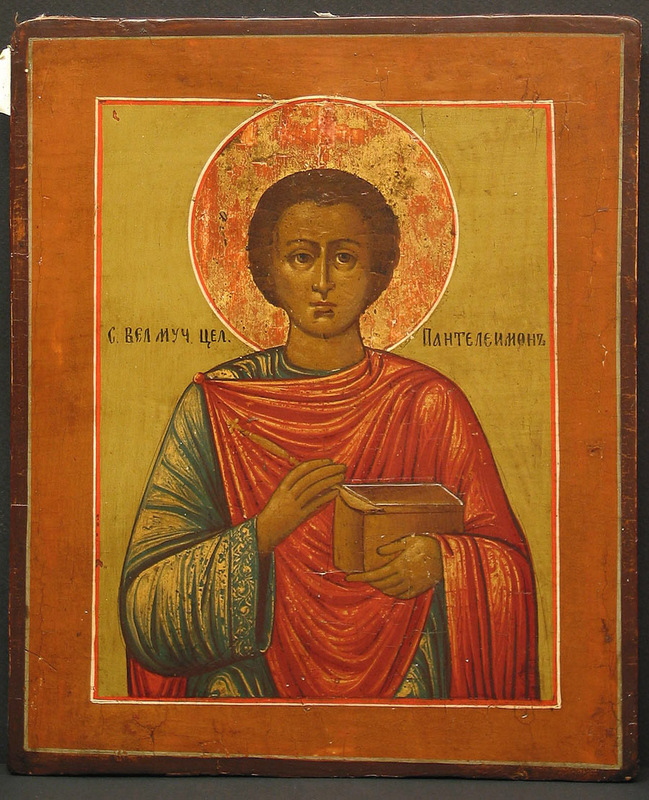 This Martyr, who was from Antioch in Syria, contested during the reign of Gallienus, about the year 260. Through the working of the evil one, his friendship with a certain Christian priest named Sapricius was turned to bitter hatred. 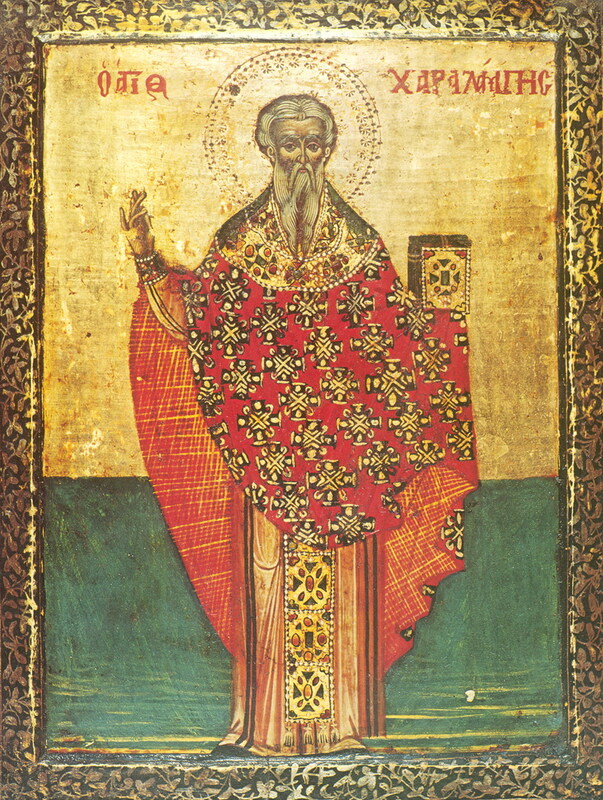 Nicephoros, repenting of his enmity, tried both through intermediaries and in person to be reconciled with Sapricius, but to no avail. Later, when the persecution broke out under Valerian and Gallienus, Sapricius was seized as a Christian. When Saint Nicephoros learned that Sapricius had been arrested by the pagans and was enduring torments for Christ, he sent intermediaries to Sapricius, begging his forgiveness; but Sapricius would not forgive him. Later, as Sapricius was being taken to beheading, Nicephoros, hoping that Sapricius, at his end, in such a holy hour, would at last forgive him, met him on the way, fell before him, and fervently asked his forgiveness; but Sapricius forgave him not. Wherefore, though Sapricius had passed through many sufferings, and the crown of martyrdom was now awaiting him, because he disdained the chief commandments of love and forgiveness, the grace of God, which had been strengthening him in his torments, departed from him, and he told his executioners he would sacrifice. 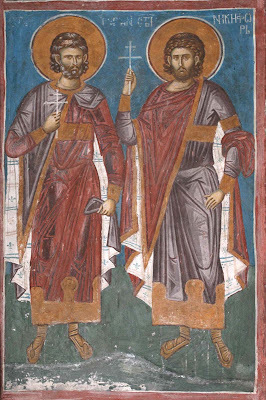 Nicephoros immediately confessed Christ before them, and being himself beheaded, took the crown that Sapricius had cast away. 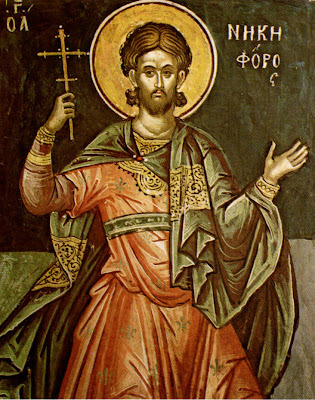 Bound fast with chains of love, thou didst mightily sunder the wickedness of hatred with manifest courage, and hence, O Nicephoros, when the sword had cut off thy head, thou wast shown to be a godly Martyr of Jesus, our Incarnate Saviour; pray Him for us who honor thy glorious memory. Being illumined with the love of the Creator, you truly fulfilled the law of grace, and thus you were spiritually reborn. Therefore, having loved your neighbor as yourself, you struggled, O Nikephoros, and deposed the enemy; keep us in harmony. Full of love towards God, O blessed one, you loved your neighbor as yourself. Therefore you also struggled, and deposed the worker of hate, O Nikephoros, taking refuge in Christ. 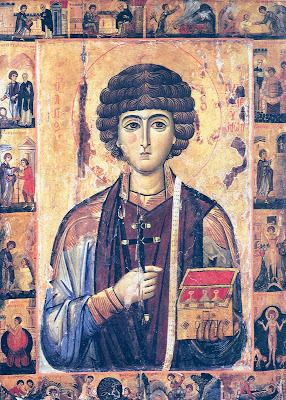 I thought to begin a series of posts, each highlighting a region of the world and its local Saints. 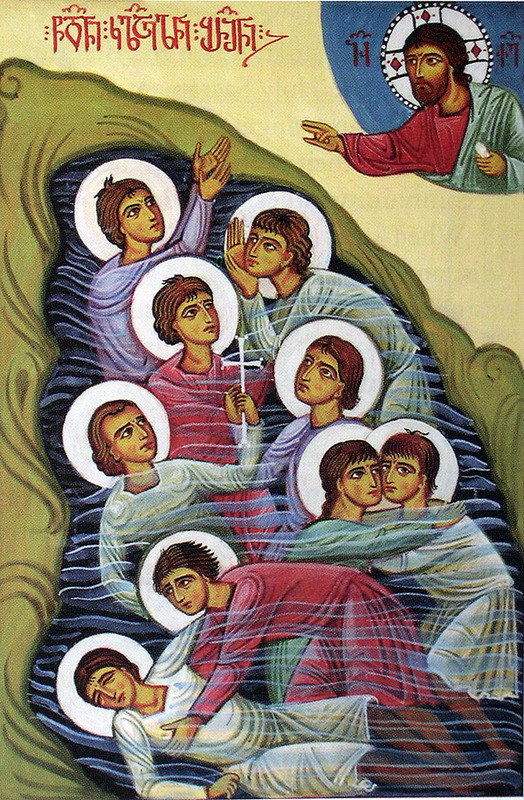 As is clear, the light of Christ has reached the farthest reaches of the earth, and thus, there is not one area which has not produced, as fruit of the Holy Spirit, Orthodox Saints. 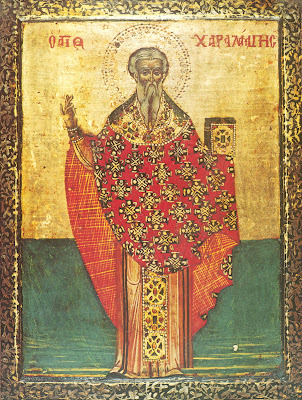 Lesvos is apparently one of the largest islands of Greece, and I happened to come across much information online about the numerous Saints that have shone from it. Also note, if you are have a preference for information about Saints from a region of your interest, please post to let me know, and I will do what I can to provide what info I can gather online. May Christ have mercy on us all and save us, through the prayers of our Holy Fathers! 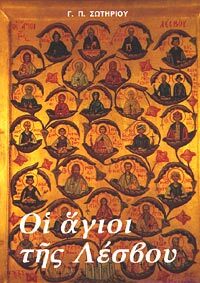 The holy island of Lesvos, besides giving rise to men of the spirit, of the arts and of the sciences, through the blessing of God has revealed at least 40 Saints, who adorn and make radiant the Orthodox calendar of our Church. 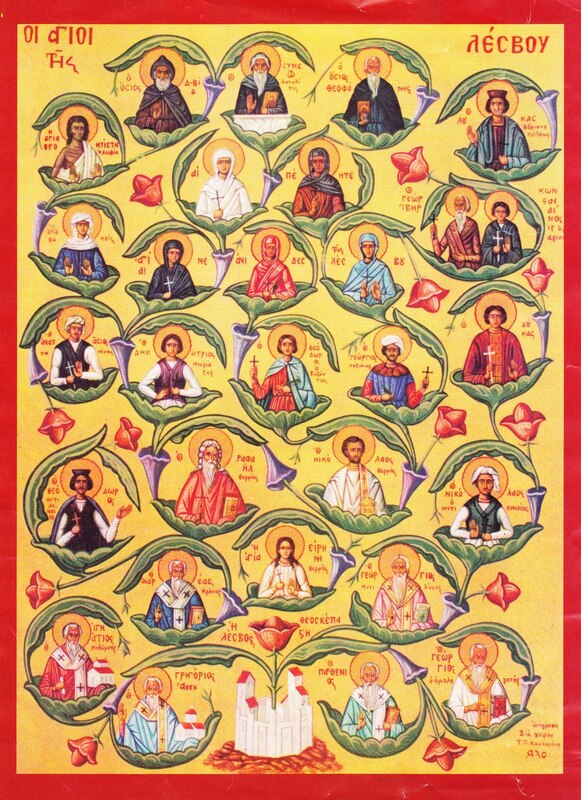 Some of them were from Lesvos, who lived godly lives and fell asleep in the Lord or were martyred on the island. Others were from other places, but came to Lesvos, where they were martyred, and hallowed the ground through their martyrical blood. Every year, the memory of All Saints of Lesvos is celebrated the Sunday after the Sunday of All Saints with all radiance and devotion, and is proceeded by a series of festal events, in which the pious people of Lesvos and many visitors to the island, take part. 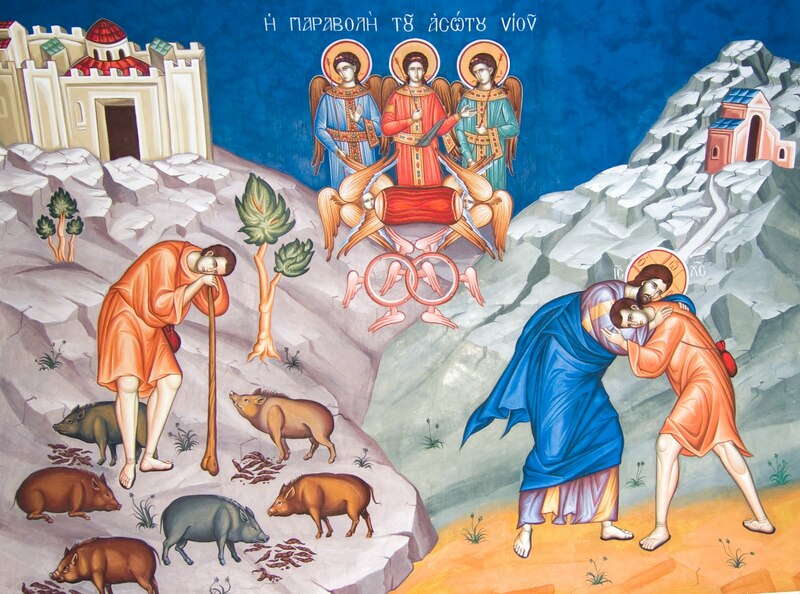 A divine assembly of noble righteous ones, and band of archpriests, and unassailable rank of martyrs, the island of Lesvos praises as it dances, for they magnified Christ in her, and they intercede that true peace and great mercy may be granted to our souls. 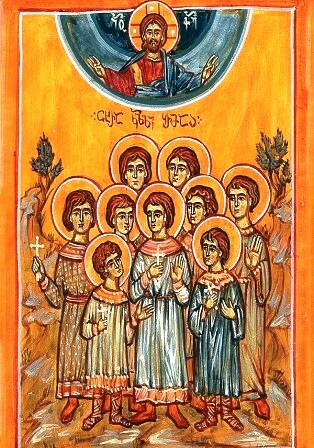 See the following links for hymns for the individual feasts mentioned above (http://stratisandriotis.blogspot.com/2009/05/blog-post_5072.html) and for the full service (in Greek) to All Saints of Lesvos (http://analogion.com/forum/showthread.php?t=13974).